AndrewGilmore.net: What Does God Really Want From You? What Does God Really Want From You? Do you ever read something in the Bible that makes you do a double take? Something you had no idea was part of the holy word of God? If you ever read through Leviticus and Numbers you'll probably have many of these moments. One such instance is the abrupt mention of testes in the twenty-second chapter of Leviticus. At first glance it seems bizarre and not important, but though it may not seem to apply to 21st Century Christians, I assure you that the principle behind it will never be irrelevant. Who said the Bible was lacking in imagery? This is one of many Mosaic regulations for sacrifice. But I know what you’re thinking. We don’t sacrifice animals. How is this relevant? The New Covenant in Christ supplanted the Old therefore we no longer have to offer animals for sacrifice. Yet in view of God’s mercy, now we offer ourselves instead. 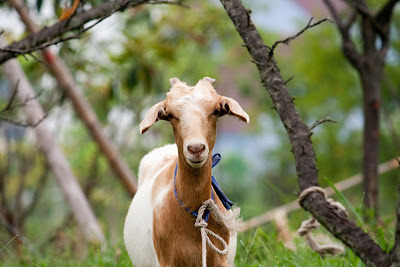 Why wasn’t Israel allowed to offer animals with bruised testicles? It’s simple really: an animal with damaged reproductive organs had little value. What good is a bull without balls? Why offer to God something that has no value to you? The fact of the matter is that God cares more about the intent of your heart than the caliber of your offering (Hos. 6:6, Mark 12:41-44). So even though your best may be rubbish, God still treasures it because He knows it comes from the heart. She holds them to her heart, keeping them where they'll be safe, clasped within her very marrow, dandelions in a vase. She sees love, where anyone else would see weeds. God wants your best, even though your best may be weeds. He wants your firstfruits (Proverbs 3:9), all your heart, soul and strength (Deuteronomy 6:5), and your unblemished sacrifices (Leviticus 22:20). He does not need them. He doesn’t get hungry. Yes, He likes the smell, but don’t you think he could manufacture that on His own? He created the animals. He created the smell itself! Why then did He command sacrifices from Israel at all? Sacrifice was primarily to atone for sins but also to set Israel apart from other nations. 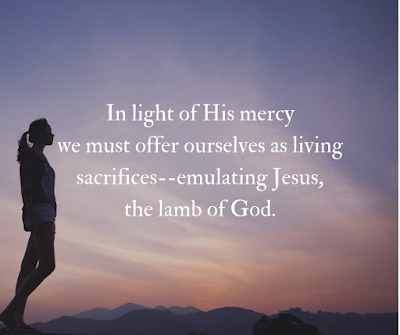 Sacrifice was a matter of obedience, but it was also a way to honor God. Yet despite the specific regulations against the practice, Israel began offering blemished animals for sacrifice. And God called them out on it through the prophet Malachi. God has a way of exposing our priorities. Would you offer a ball-less goat to your governor? Would you routinely show up late to your job and do substandard work once you get there? Of course not. If you did, it wouldn’t be long until your boss fired you. But you value your job. You value your paycheck. 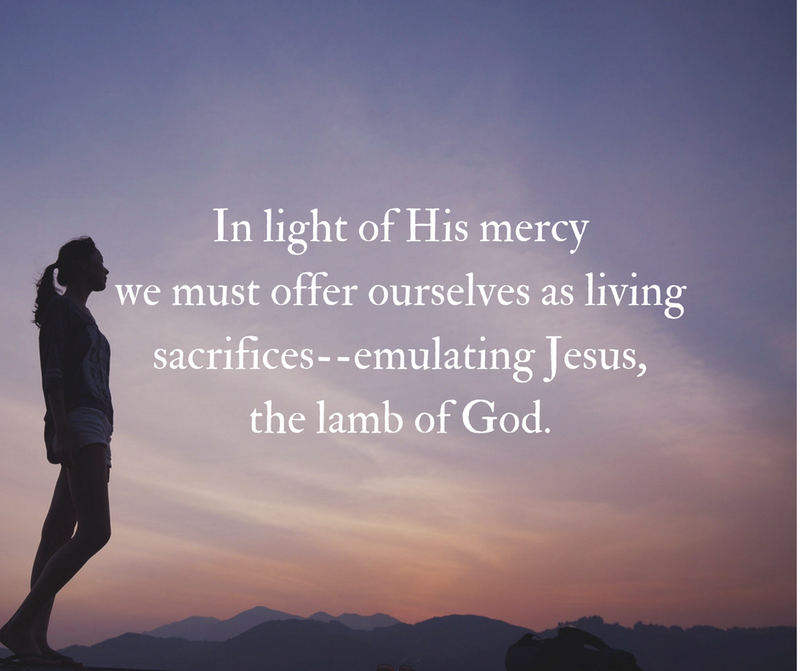 In view of His mercy we should instead offer ourselves as a living sacrifice, emulating Jesus who was the unblemished Lamb of God. If you enjoyed this post, you'll love my monthly email article. It's free, but you can only get it by signing up. Click here to subscribe, and I'll do the rest!